This is the last fishing report of the year from up here at the Wheel. We had a great week of fishing to close out our guiding season. Fall weather was in full force – lots of wind, cold nights, brisk days, even some sleet and hail throughout the week. 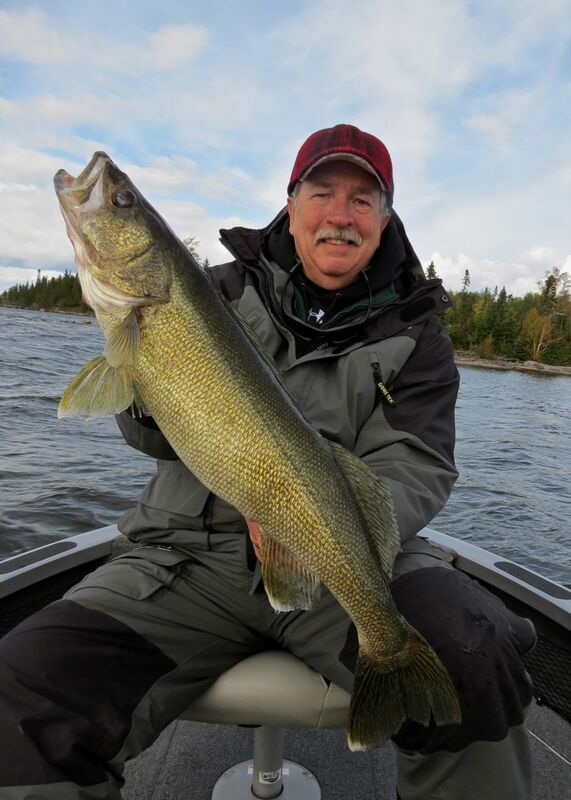 But surprisingly the fish kept on biting (I had my doubts some mornings) and guides and guests alike did a great job to wrap up another great year at the Lodge. The walleye fishing was good this week. 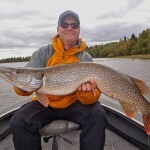 Fish are huge right now, getting their feed on for winter (I think I said that last week, but it’s still true!). 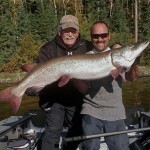 Our numbers were above average for this time of year (20-30 fish over 18” per boat) and we saw some big fish too. 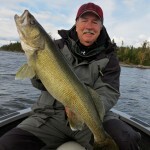 For the week we had 13 walleye over 27 inches, including a 28 and a 29. The challenge this week was you really had to key into the few areas holding biting fish. It may sound like an obvious statement, but the challenge was that there were fish at all the spots (the screen was always lit up)… it was finding spots where they were actively feeding that mattered most. One method that worked over multiple days was fishing some of the lake currents created by big winds funneling water down into narrow pinches. This pattern was replicated in a few different places and it paid off. The average depths varied anywhere from 20ft down to 40. 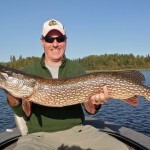 The pike fishing was great this week as well. We had 15 fish over 37 inches, with multiple 39s, 41s, and a 42. 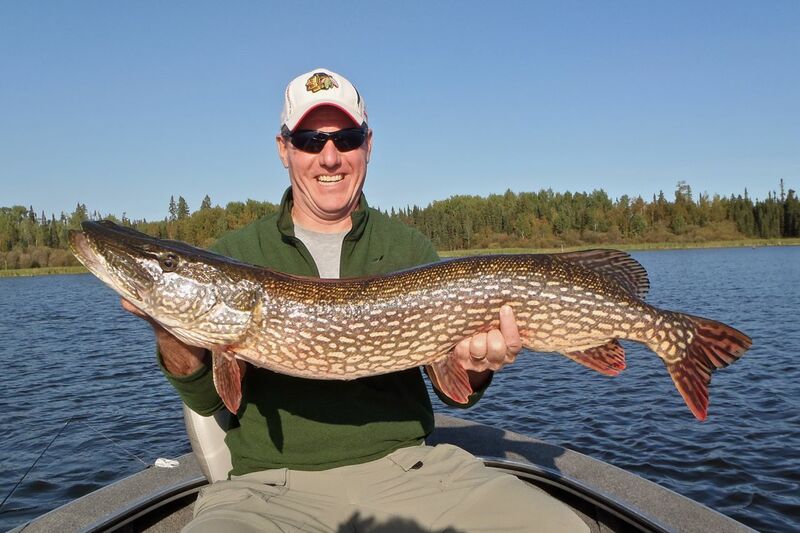 Pike were found in some of our classic spring pike fishing spots, which was surprising to us. 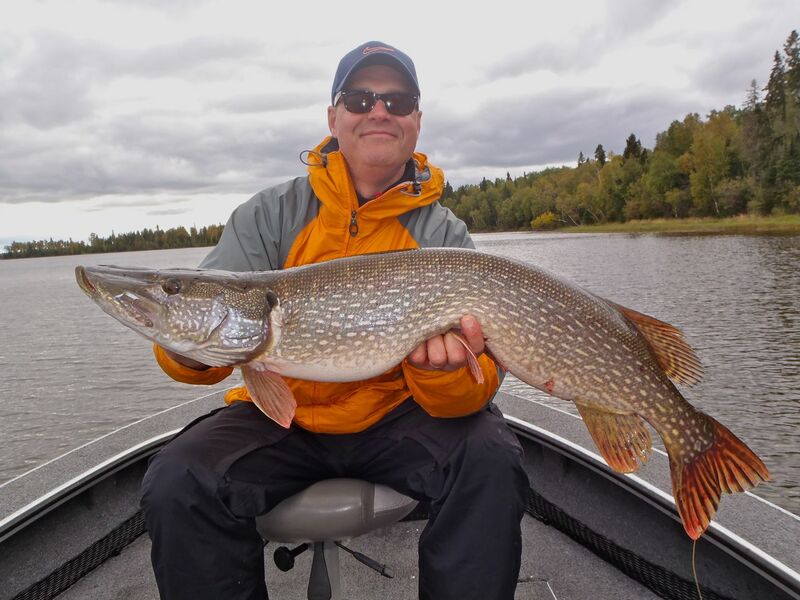 Usually we are throwing for pike in fall spots that are closer to deep water, but many of the big fish came out of 3-4 f.o.t. in back bay stumps, and most of them where found in proximity to the healthy weed beds that still remain. 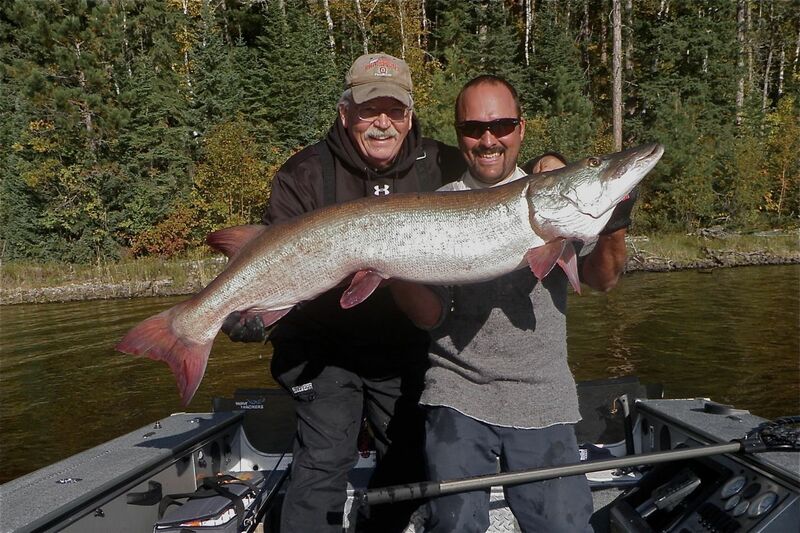 A final end of the year bonus was that our friend Mike Harnetty came up and got the chance to scoot up to the far end of the lake to do some Lac Seul Muskie fishing, and folks, he caught a big one. He and Dave worked hard all day and it paid off with a 53” giant. We had an awesome season up here at Silver Water Wheel Lodge, and a big thanks goes out from all of us to our amazing guests. Without you, we’d just be a bunch of unemployed fishermen! Just joking, I am sure we’d find jobs, but none that would compare to taking friends out fishing on one of the greatest fisheries in the world. So thanks again, and hope we see you next year.